George Osborne confirmed his commitment to the Northern Powerhouse by prioritising it so strongly in the recent Budget. But, says Mark Robinson, the initiative is in desperate need of a figurehead or strategic leadership to take it to the next level and stop it fizzling out. Lord Adonis and the National Infrastructure Commission have made some laudable recommendations which the Government appears to be heeding. With £200 million worth of funding committed to establishing Transport for the North, a raft of new projects set to benefit the region have been announced, including rail services linking Manchester to Leeds, HS2 which will link London, Birmingham, the East Midlands, Leeds, Sheffield and Manchester, and also a tunnel road connecting Manchester and Sheffield which will run beneath the Pennine Hills. The elected mayors are also a step in the right direction, creating the extra driving force this project sorely needs, but to be truly successful we need one single overarching leader to collate the thoughts and aspirations of the North and translate them into tangible outcomes. To have generated the current level of momentum behind an initiative as important as establishing and growing the Northern Powerhouse, only for it to fizzle out, would be a real tragedy and a backwards step for UK economic growth. Although there are currently numerous bodies representing elements of the Northern Powerhouse agenda, such as Transport for the North and Business North, the time is now right to bring greater coherence to these with a single representative championing all northern interests. This new role should be paid for by either central or local government and the appointed individual needs to have a national profile, be from the North and have good links to central and local government, the wider public sector and leading businesses across the North of England. One of the main challenges facing the Northern Powerhouse going forward, is how to attract and retain top graduates in order to maintain a highly skilled workforce. We need to make the Northern Powerhouse as appealing and attractive as London. As Pat Ritchie of Newcastle upon Tyne City Council said: “The Northern Powerhouse is about positioning the North as somewhere where people can do business and develop long term careers.” In order to achieve this, or any other goals set out by the Northern Powerhouse, the body needs devolved, strategic planning. The brand needs to be converted into a more permanent reality and a 50-year plan for the region’s future needs to be developed. The leader of the Northern Powerhouse will need to establish links with London to ensure greater coherence and alignment for the benefit of the UK. An ambitious global strategy is also required to position the Powerhouse as a leading region worthy of international investment – in fact, the Financial Times recently reported that the Northern Powerhouse’s economic output at present would make it the 10th largest economy in the EU were it a country, which shows the strength and might of this often underestimated area. There has already been headway in terms of the development of infrastructure in the Northern Powerhouse with £13 billion to be spent on transport in the North over the course of this Parliament. The government is building on the progress already made by Transport for the North with policies such as providing £150 million of funding to support the delivery of smart and integrated ticketing across local transport and rail services in the North; extending the Summer Budget 2015 commitment to fund the operation of Transport for the North, with a total of £50 million now committed over this Parliament; and providing £7 million of funding through the Regional Air Connectivity Fund to support new air routes promoting domestic and international connectivity and stimulating jobs and growth. However Transport for London is still much more advanced than Transport for the North, so more investment is needed. In addition, we need to also be mindful of incoming government cuts to local services which will see the public sector working under increased pressures to make even more efficiencies. Ultimately, the cuts may even mean that the swathe of innovative new projects announced in the budget cannot be adequately maintained for future generations. It is important that the Northern Powerhouse is self-determined and not just ruled by policies from central government and devolution is an extremely important part of this strategy. There needs to be a cultural commitment to devolution within central government for it to truly work in practice, however more importantly, a strong leader is necessary in order for the Northern Powerhouse to be sufficiently equipped for this. A series of special blog posts to mark the start of health and social care devolution in Greater Manchester is being published by Manchester Policy Blogs from Tuesday March 29th. Subjects will include health and social care but will then move on to wider subjects such as transport, the Mayoral elections and the Northern Powerhouse. 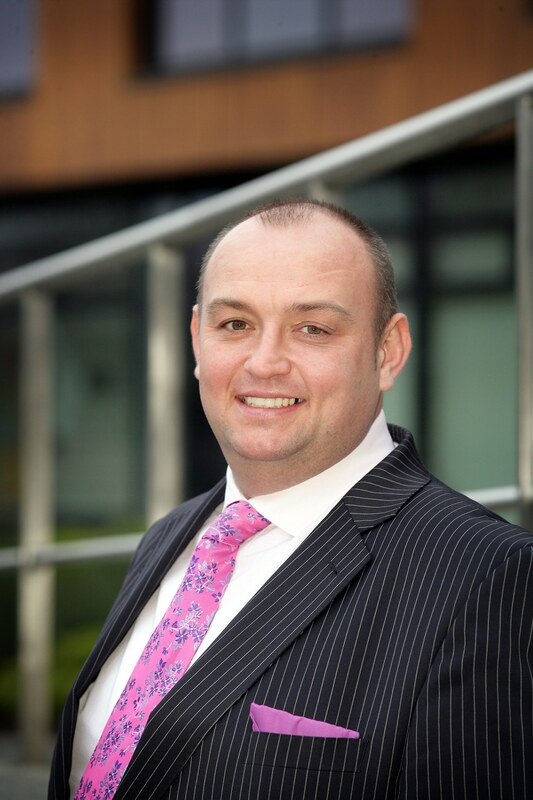 Mark Robinson is Chief Executive of Scape Group and has 25 years’ experience in the public sector, first working for Sheffield City Council before moving to a Derbyshire Council where he set up a housing ALMO for the authority and one of the first regional shared services for procurement in the UK.